MiG-21bis (1972; Izdeliye 75; NATO "Fishbed-L/N"
The ultimate development of the MiG-21, fitted with the Tumanskiy R25-300 turbojet engine and a great number of other advances over previous types. Those MiG-21bis for the Soviet PVO (Air Defence Force) were equipped with the Lazur GCI system (NATO: "Fishbed-L"), while those for the Soviet Air Force were fitted with the Polyot ILS system (NATO: "Fishbed-N"). Lazur-equipped version with a slightly different avionics package exported to some Warsaw Pact countries. 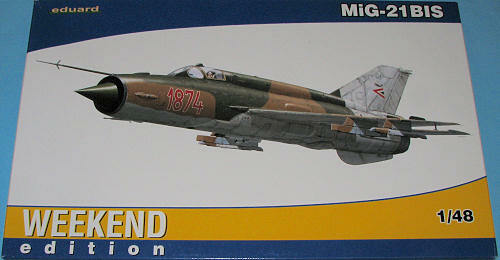 In Bulgaria and East Germany these were designated MiG-21bis-Lazur. Polyot-equipped version with a slightly different avionics package exported to some Warsaw Pact countries. In Bulgaria and East Germany these were designated MiG-21bis-SAU (SAU referring to Sistema Avtomaticheskovo Upravleniya = "Automatic Control System"). This variant was manufactured under licence by HAL in India from 1980 to 1987. Upgraded in 2003 for the Croatian Air force with some elements of the Lancer standard. Modernized for NATO interoperability including a Honeywell ILS (VOR/ILS and DME), a GPS receiver, a new IFF system and communications equipment from Rockwell Collins. Finnish designation for MiG-21bis modified to carry reconnaissance pods. 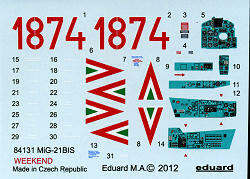 Eduard has gotten a lot of positive press regarding its MiG-21 line and many of us have been waiting for the less expensive Weekend Edition kit. This kit comes without all the extras that are in the profipack versions, but still provided a good quality kit for those of us who are not concerned about getting photo etch or canopy masks or resin parts or a wide selection of markings. The kit has a nicely done cockpit with a nicely done bang seat. 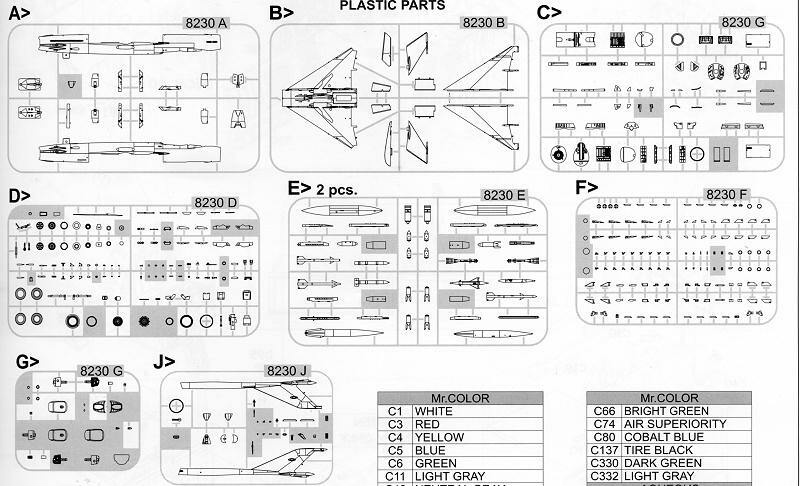 Decals are provided for the sidewalls, consoles and instrument panel. These markings have Eduard's take on the cockpit color molded on them to minimize painting. Matching this color against my Tetors Soviet Interior Blue/Green show them to be slightly different shades, but those of us who have used Eduard's prepainted photo-etch know that this issue is endemic with Eduard. There are a lot of clear canopies provided, but most will not be used. The canopy can be displayed open. The wheel wells are very nicely detailed and all separate bits that eventually fit into the fuselage halves. There are also a number of bulkheads that go in the fuselage to add stiffness. A well detailed exhaust and burner can are also provided. Eduard recommends nose weight but does not tell us how much. As this cannot be added once the fuselage halves are together, the builder will have to tape together all the major components to get the right amount. In order to be able to produce multiple variants using the same basic fuselage and wings, the upper spine and fin are separate pieces and have their own small bulkheads. Instructions are well done on slick paper that includes a full color painting and markings guide with Gunze paint references. This might be an issue where Gunze paints are not available, but since they are relatively common, finding local substitutes should be easy. Markings are for a lone Hungarian aircraft with a white underside and fin as used during an exercise in 1991 with the then-new insignia. Decals are well printed, though I am sure most of us will be using an aftermarket sheet instead. Those waiting for this one to be released as a weekend edition need wait no longer. At a savings of about 40% over the profipack kit, we still get all the same plastic and it gives us a chance to use up some of those MiG-21bis markings we have in the decal stash. I got this at deep discount from the Great Models 'end of days' sale.